We lost an hour, and then nearly another putting all the clocks, timers and dials to the right spot. It is a funny shift we’ve imposed on ourselves! It does however seem to have brought much needed sunshine and a bit of warmth. 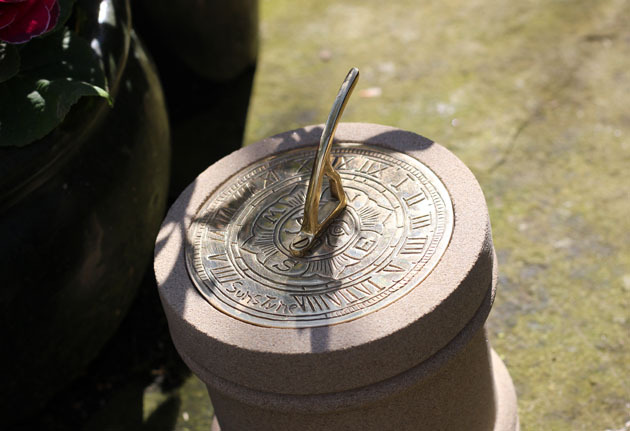 I’ve carved this little stone sundial in a simple column shape, for sunshine days like this, the cast brass inset dial reads ‘Suns Tyme’ and there’s a big sunshine face at the centre. 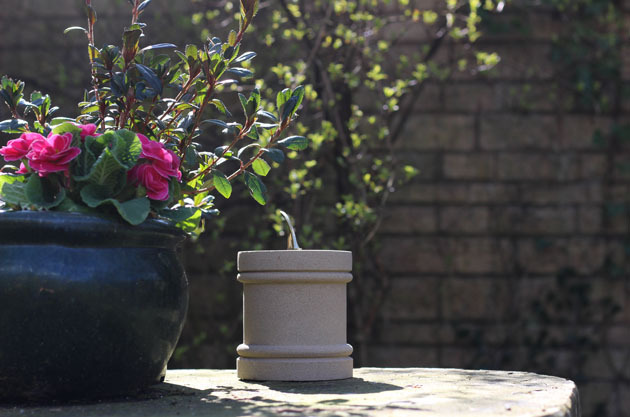 Today it is working beautifully and I’ve transferred to Sun Time.